It’s common for most people, you know? Looking for new places to eat or finding out a new cuisine. 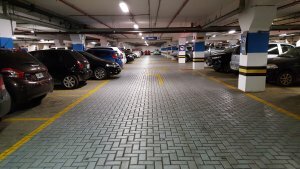 This habit is common among people, and they’re not going to give up this habit anytime soon. In fact, people always search for the best restaurant near me through different restaurant mobile apps while travelling. According to a survey conducted in US in November 2016, 20 percent Americans visit quick service restaurant once a week, and 34 percent Americans visit full-service restaurant once a week. Despite the smartphone device they use, there are now plenty of best restaurant apps available for people to find the new place to eat. This entire category of a restaurant near me apps includes several kinds of apps such as food ordering apps, food delivery apps, food near me app, find food app, and so on. And, Today, we’ll be sharing the best 4 iOS restaurant review app for people who often search for local restaurants near me. 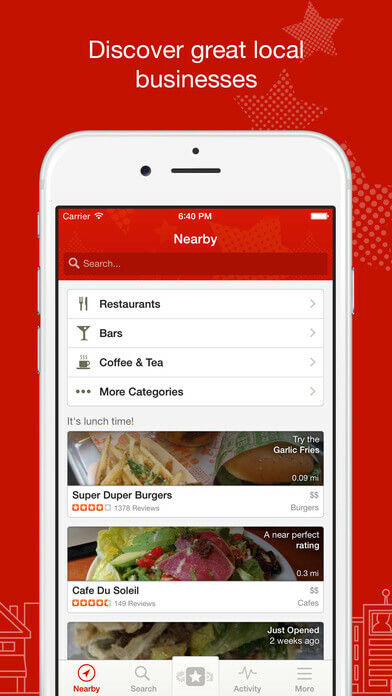 Yelp first started out as a ubiquitous crowd-sourced restaurant rating and review site. 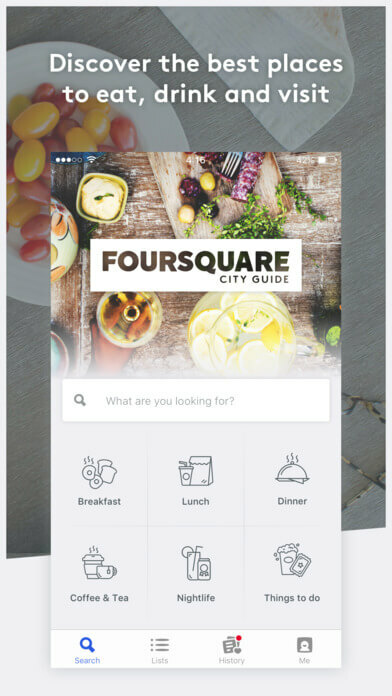 But, soon enough, they launched their restaurant app for the mobile platform that shows people restaurants, clubs, bars, and other food locations in near area. 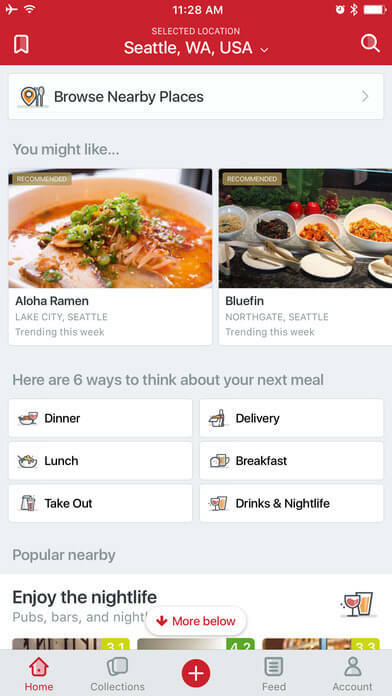 The app further provides filter option to find what’s open, what type of food is served and expected cost. With their mobile app, not they only solved the common problem of people to find restaurants quickly, but they also allow people to rate and write the review of a specific restaurant according to their experience. Foursquare has been a success in the recent years. It’s a great tool for people for finding new places to eat at, and you can follow other people on an app whose tastes you trust along with advice on what to order. The app also provides an option to have semi-talks with friends and compete for ‘mayor’ of different places. Further, you can tell the app your favourite dishes and it’ll tailor the restaurant near me results to your needs. All in all, a good taco won’t be hard to track down with Foursquare app. 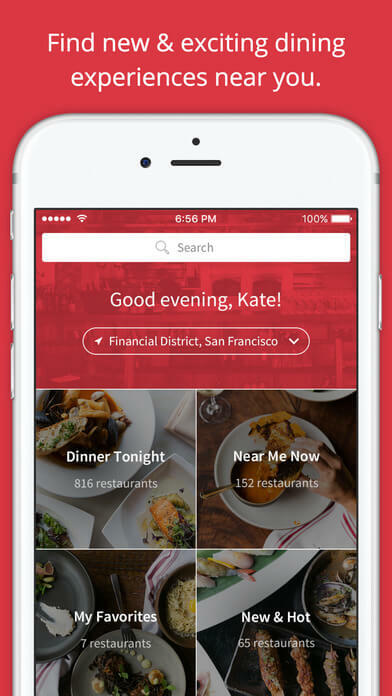 With OpenTable, it’s easy to discover, book, and manage restaurant reservations instantly and for free. The app is a one-stop solution for finding new places to eat, reviews and people’s opinion for a restaurant. The OpenTable allows booking meal table from small group size to party size with simple options to choose a date, time, and your desired location. Furthermore, it’s also possible to invite friends and family and save the reservation to your calendar and remind you when it’s time for your meal appointment. 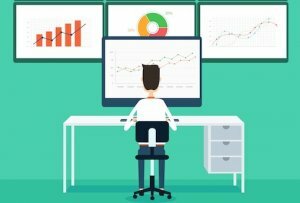 It already has over 1 Billion diners with restaurant data above 3800 places worldwide. Urbanspoon (developed by Zomato) is a Zomato like restaurant app dedicated and #1 for finding the best food and dining experiences over a million restaurants. The app is already used by millions to find honest restaurant ratings, reviews, and food critics by the consumers. It also offers an option to find restaurant info such as contact numbers, addresses, hours of operation, in-app driving directions, and book a table. Urbanspoon is a great tool, especially if you’re in a new city, that allows look at restaurant guides with honest food critics from food fans for local restaurants using app. How Well Is The Restaurant App Business? With the industry of food and sales worth over 750 billion US dollars, it has been reported through a survey that 25% people have at least 1 restaurant app on their smartphones. This means, there surely is a good market for developing own restaurant app and establish your own business. The report further also showed that 53 percent of survey respondents had used their phone to find a restaurant location, while 49 percent had done so to browse a restaurant’s menu. In addition, 35 percent of survey respondents had used their phone to place an order for pick-up or delivery, and 25 percent had made a dining reservation with their phone. From this report, one can understand easily how vast the restaurant app market is, and how successful business one can establish just with a simple mobile app. 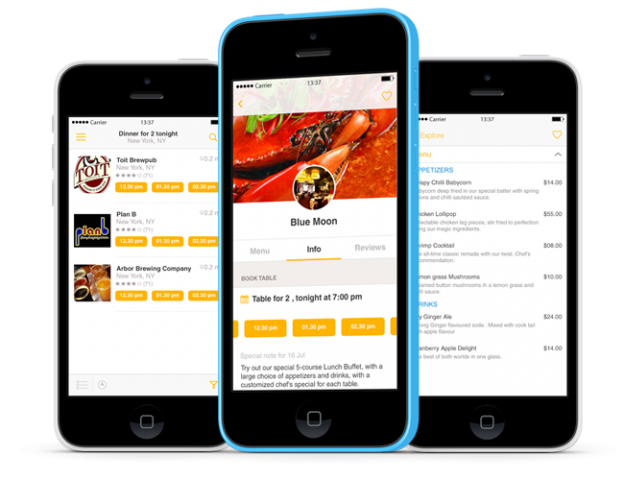 And, since you got the idea about restaurant apps market, we’ll move further to look over the essential features for your restaurant locator app development. How These Best Restaurant Finder Apps Make Real Money? Generally, revenue sources of such mobile apps are based on advertising and subscription-based services. For instance, Zomato has 1 million users who regularly use its app to go out for a meal or get food delivered at home. The restaurant owners can find their audiences on such mobile apps and market their products to new prospects. Similarly, it’s also possible to earn real money through an app like this by offering subscription plans to restaurant owners. The app can allow merchants/restaurant owners to access to their listings to share special deals, discount offers, or special menu through the mobile app. Furthermore, they have also come up with a new commission-based system where consumers can directly order from the app, and the app then forwards the order details to restaurants on charging a fixed commission. Such type of apps are known as facilitators between customers and restaurants developed and maintained by either in-house app developers or outsourcing the service from mobile app development company to start their own business. In fact, we’ve also worked on such startup idea of our clients from Dallas, Florida, and many other countries. You can check our portfolio here. This page was last edited on December 1st, 2018, at 8:55. How About Making Your Idea For Restaurant App Startup a Reality? We Can Help!